This is a fashionable watch with a comfortable fit for any size wrist. The band is a gold-tone link and moves comfortably with the wearer. 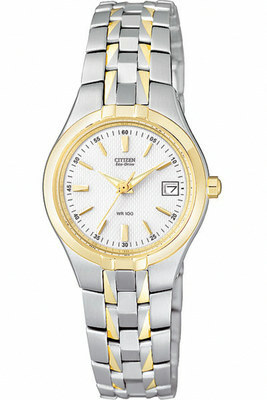 The watch face is white with a fine pattern of rays and has four gold-tone markers. 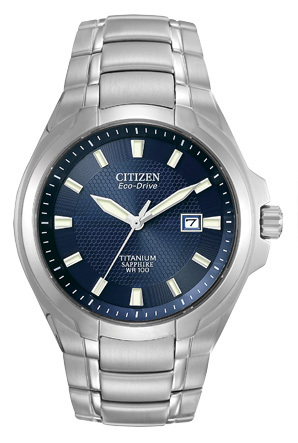 Citizen watches feature a unique Eco-drive movement. These quartz watches are recharged via a solar cell that converts both indoor and outdoor light into power for your watch. An ordinary water resistance timepiece can usually withstand sweat, rain drops, etc. during daily use. 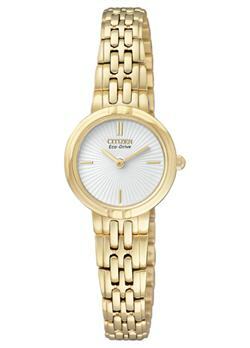 Established in 1918 Citizen Watches chose their name to be “Close to the Hearts of People Everywhere”. The past 30 years has seen them rise to be the worlds largest watchmaker. 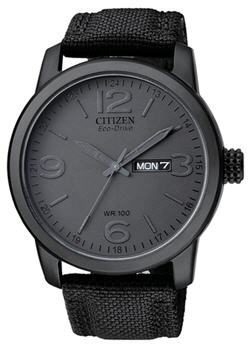 Citizen is also a leader in watch technology. More recently they have taken position as a leader in Ecologically Friendly timekeeping with their Eco-drive collection of light powered watches.